If you want to turn your boring home into an appealing place, you have come to the right place. Real Painters in Waltham Forest provide expert decorating, painting and wallpaper hanging services for your home interior. We are able to help you successfully complete your decorating project with the proper staff and right equipment. Before putting down paint on your surfaces, our technicians will move round the furniture, cover your possessions, fill the small cracks on the walls and do other preparation work if needed. After this is done, the professionals will treat your walls with two coats of primer. Then, the areas will be painted with three layers of paint (varnish or oil). When the surfaces are completely dry, the staff will clean up and arrange the furniture. With our professional expertise, attention to detail and high quality materials, your decorating project will be completed on time – in an efficient and hassle-free manner. Our friendly decorators have the necessary equipment, such as ladders, rolls, brushes, a scaffolding tower system, dust sheets and other materials to make the painting process as simple and easy as possible. We have a variety of high quality paints to suit your individual decorating needs and requirements. Whether you need to protect your kitchen or bathroom from mould, give your bedroom a more elicate sheen or you have any other idea, Real Painters in Waltham Forest is the perfect solution for you. To schedule a friendly interior decorating service in Waltham Forest with Real Painters, please contact us on 020 3026 9530 to share with us your specific painting or wallpapering needs. 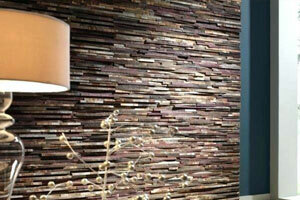 We will help you make an appointment with our decorating specialists for a time suitable for you.